I guess I can’t handle tragedy. 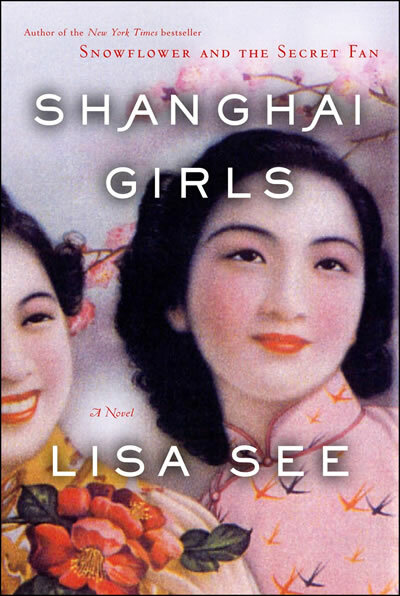 I just finished Lisa See’s Shanghai Girls, and frankly, I’m glad to have it over with. If I had to identify one sentence that pretty much summed up the central theme of the book, it would be this: “When we’re packing, Yen-yen says she’s tired. She sits down on the couch in the main room and dies.” Yup, she sits down and dies. Just like that. Shanghai Girls is a fortunately/unfortunately story, except without any of the fortunately parts. If you hadn’t already guessed, here’s the official spoiler warning. Ready? Families lose it all. Brides are sold. Rickshaws are stolen. Bombs drop. A head and not a few limbs are severed. People step over dead babies in the street (and that’s during the good times, before the bombs). Enemies invade. Women are attacked, killed. Refugees flee, drown. Immigrants are detained, and while detained one delivers a baby in a shower stall. One pregnancy is faked. Another ends in the death of a baby and the near death of her mother. The family store burns down not once but twice. The dull-witted guy in the story becomes a bed-ridden invalid to boot (diagnosed with “the soft-bone disease,” whatever that is). Neighbors betray neighbors. A sister betrays her sister, leading to the suicide of the only remotely well-grounded individual in the story. Then the sisters go through some serious and really unresolved victim-blaming. By the end of the book, one character has fled to communist China in search of a better life, and her passport-less mother flees after her, counting on deportation as her one way ticket there. Geeez. In the words of Billy Crystal, why don’t you just give me a paper cut and pour lemon juice on it? I don’t need feel-good stories, but this book was ridiculous. I know that life can be bad, and that life in war is surely worse. But this story is relentless. The only bright spot was the main character’s finding of the Christian faith, which you would have missed if you weren’t paying attention or would have questioned as half-hearted if you were paying attention. I know that people love this book. I wish I was one of them. I remember reading that the European title of The Girl With the Dragon Tattoo was Men Who Hate Women. Apt, right? The real title of Shanghai Girls should be How the Slow Boat from China Made Two Powerless Girls Hopeless As Well. I wish I hadn’t gone along with them.